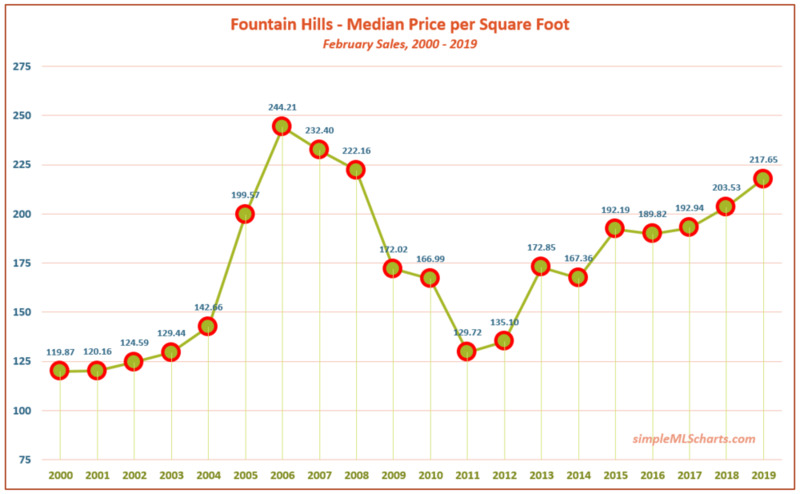 February to February to February, the Median Sales Price in Buckeye seems to rise about $20,000. While nice and consistent, $20,000 per year becomes a smaller percentage each year, although not too many homeowners would argue with this year’s 9% YoY figure, or even next year’s 8% - if our $20,000 per year increase holds true again. When we look at a typical suburban house - most neighborhoods from Scottsdale to Goodyear and Surprise to Gilbert - we tend to think any home with a 10,000 sqft lot has plenty of space. “HA!”, says Paradise Valley - where only 8% of all homes sold in the last 4 years had lots that tiny. 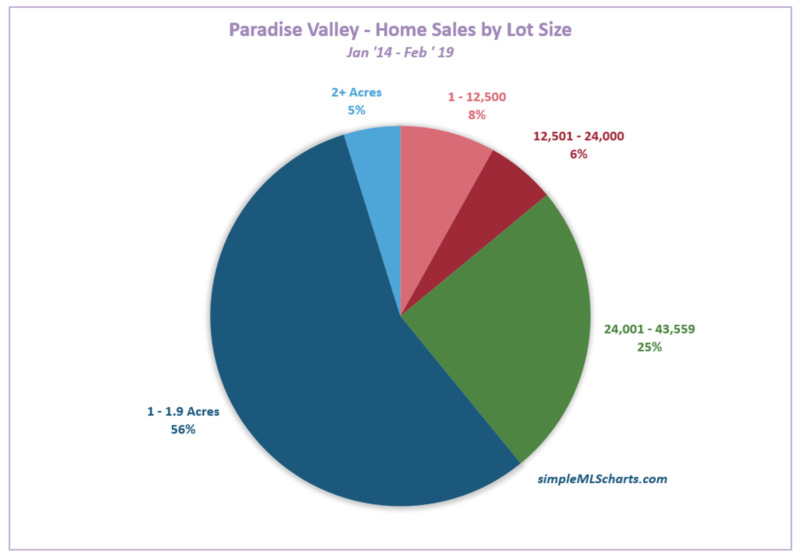 More than 60% of the homes sold in Paradise Valley sat on lots larger than 1 acre. A full 85% were larger than a half-acre. Buying in Surprise in 2014 would have been a good investment, as the median sales price is up almost 45% over the last 4 years. 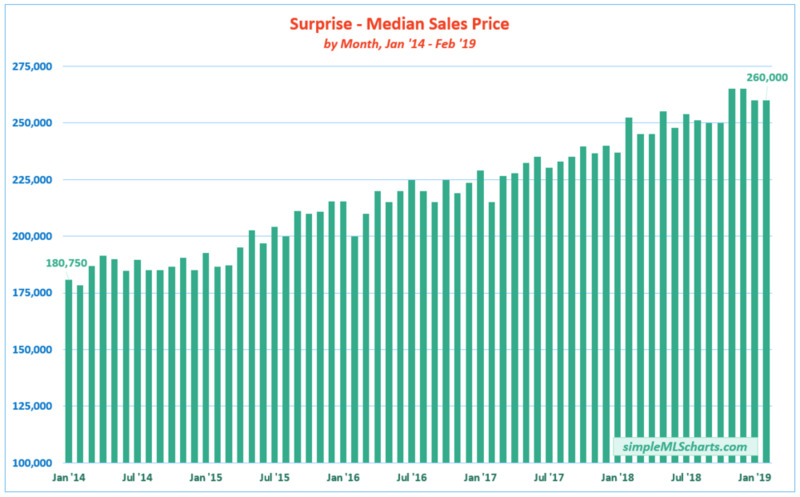 The median sales price was $260,000 in Feb ‘19, up 3% YoY from $252,500 in Feb ‘18, and 21% from $215,000 in Feb ‘17.